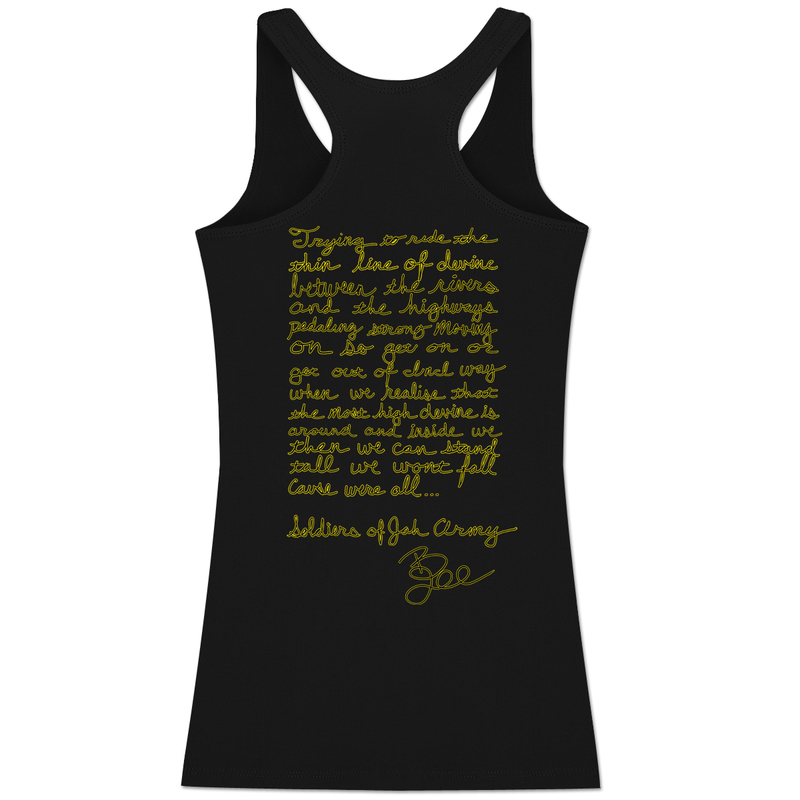 Black tri-blend American Apparel ladies' tank featuring Bobby Lee Jumpman silhouette on front and lyrics from o Whom It May Concern on back. Printed in the United States. Love this tank! Super soft and comfy. Unfortunately this tank runs small. I ordered a large and probably need an XL but I need it for the upcoming concert so I cant return it and get one back fast enough. Ill make it work. “Like a glove” perfect fit! 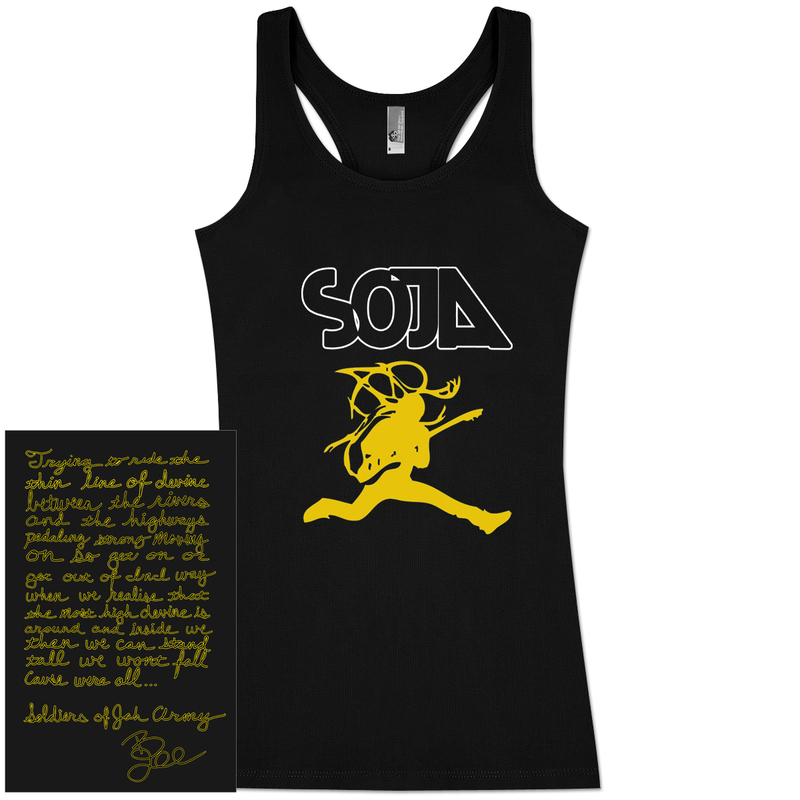 The lyric choice on the back of the shirt is a great representation of SOJA’s message. Wonderful advertising! Jah bless! Purchased the Bobby Lee tank in women's XS. LOVE the tank. It's a heathered dark grey with a yellow Bobby Lee Jumpman and SOJA in white. It has yellow lyrics/signature on the back. It's pretty dope &amp; I was hella excited to buy. Unfortunately the women's tank runs small! I'm usually a size S, but wear an XS in all of the SOJA tanks that I own. Missed the exchange window due to the holidays. 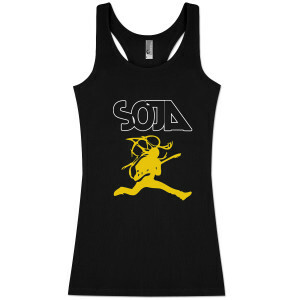 DOPE tank but again RUNS SMALL. Will have to reorder soon. As your amazing music, the t-shirt couldn't be less!!! !